We all know binoculars take you as close as possible to the action. However, who wants to carry around large heavy binoculars? We all love traveling light, which is why compact binoculars are growing in popularity! There are many reasons why you would want to have a small compact pair of binoculars. Be it when you are out hunting, watching movies in a large hall, or simply bird watching in the wild. Being able to immediately zoom in on whatever you are watching is why we all love binoculars. Compact binoculars are lightweight and give you the ability to observe things unobtrusively. They are small enough to sneak them into concerts or sporting events. The places they might not be as welcome as you had thought. You can also keep them in your bag and only retrieve them quickly when an opportunity arises. This is great when you are out camping with family or friends. They are not only lighter than their bulky counterparts but easier to hold too. Compact binoculars can easily be carried in one hand freeing up the other hand while hiking. They also come in elegant styles and designs. However, finding the best pocket binocular can be a challenge. The compact binoculars market is full of many great models with different features and price points. You’ll be overwhelmed by numerous high-quality options available on the market today. We highly recommend that you look for compact binoculars that fit your budget and give you crystal clear visual abilities. You should also make sure they are suitable for the activities you have in mind such as bird watching, hunting, or sports. We did extensive research on the top compact binoculars available on the market today. The following list is the result of our research. We tried to include a pair of binoculars for every budget and most popular usages. If there are no binoculars on this list that meet your needs, please leave a comment. We will make sure to find something that meets your criteria. Here are our top picks for the best compact binoculars in 2018. So what is the best magnification for compact binoculars? It has a durable rubber body that is designed to withstand harsh conditions. If you asked for my top pick of all compact binoculars, I’d go for the Upland Optics Perception HD 10x42mm model. This model is small and compact enough to fit in your bag, tough as nails, and will always give you excellent picture quality. 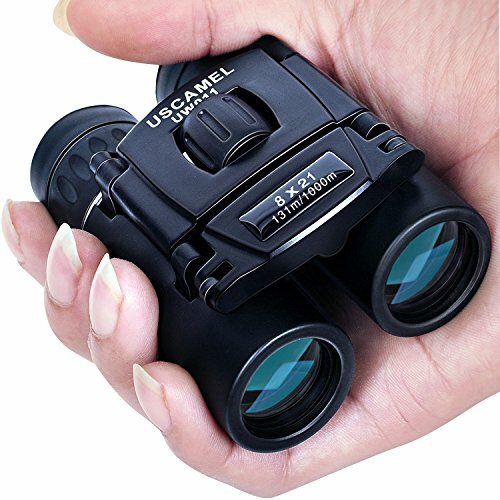 It is a great pair of binoculars for almost every use from hunting and bird watching to watching sports and getting a clear view at a concert. They are also water and fog proof, so they are able to withstand tough outdoor conditions. These are first class binoculars that come at a great price for the features they offer. High quality optics with excellent clarity. Lens covers are designed to stay attached to the binoculars at all times. Slightly heavier than other binoculars of the same size. This is because they are made of solid materials. The packaging is not very impressive but what lies inside is all that matters. The Uplands Optics Perception HD 10×42 is your go to binoculars for all occasions and events. It has everything you need in a small lightweight pair of binoculars available at a great price. 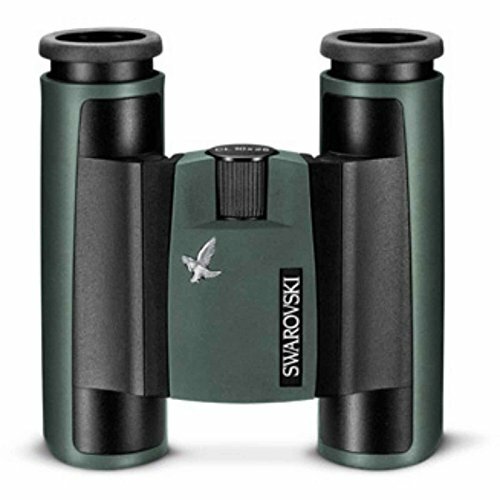 The Swarovski CL Pocket 8×25 binoculars come in a green CL pocket design and are extremely lightweight. Their optics provides a perfect combination of high quality build and the best image quality. The body design of these binoculars makes them comfortable to hold and use with one hand. They are also fully waterproof. You can submerge the binoculars in water to a depth of 13 feet without causing any damage. Keep in mind the waterproofing also helps to keep dust and other particles from entering the binoculars’ system. Small and compact, especially when folded. They are quite easy to carry around wherever you go. They have a high quality build using the best body materials and optical components. The binoculars have a wide field of view and long eye-relief. Glass wearers will love the twist-eye cups. The included extras are quite helpful too in extending the functionality of the binoculars. The Swarovski CL Pocket 8×25 binoculars may seem a bit pricey but they offer superior quality. They are also less expensive than other models from Swarovski that cost up to $1200. Consequently they provide the best value for money and are your perfect hiking companion. Hunters and bird watchers love Nikon 8218 Trailblazer for their quick central focus system and an expansive 420-foot Field of View. These are powerful binoculars with 10x magnification which is great for scouting and hunting. They feature BAK-4 roof prisms optics with multicoated lenses with an interpupillary distance of between 56mm and 72mm. They even have eye-cups with a twist up design giving you up to 10mm of eye relief, which is perfect adjustment if you are wearing sunglasses or eyeglasses. With a weight of just 9.9 ounces, the Nikon 8218 Trailblazer are indeed lightweight and convenient to carry around. They have a compact body covered with rubber-armored coating which not only provides a firm grip but is quite durable too. These are the best binoculars for a person looking to spend $100 or less since they provide great quality at a reasonable price. It is not a surprise some vendors are selling the very same binoculars at double the price due to huge demand. 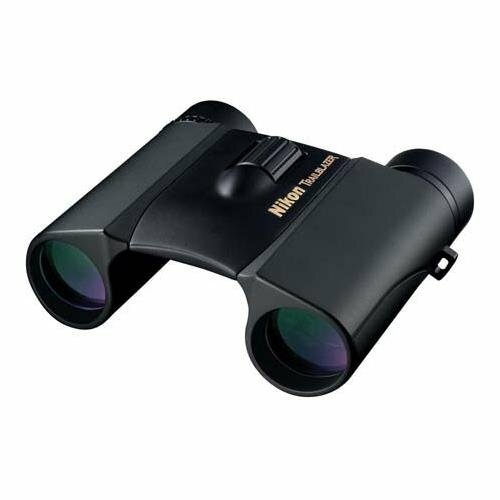 The black Bushnell 138005 H2O Compact Roof Prism Binoculars are fog and water proof. What makes them ideal for on-the-water viewing activities. Their rubber-armored textured body will give you a perfect grip over a long time. The binoculars have multi-coated lens for bright clear viewing, a dual-hinge bridge, and high transmission BAK-4 prism glass. They come with twist-up eyecups longer eye relief, and a large conveniently placed center-focus knob. With a weight of just 10.2 ounces, the binoculars are lightweight too. If you are looking for the perfect compact binoculars with a price tag below $50, then black Bushnell 138005 is a great choice. They come at a great price and have some of the features you find in other higher priced models. They are highly recommended for the budget minded person with an eye for quality. Comes in a robust build and design. They are very durable. USCAMEL Folding Pocket Binoculars have a compact and very lightweight design. The lanyard designed binoculars are easily portable to any site, function, or wildlife event. Their BAK-4 prism combines with multicoated green film optics to give you the highest image clarity and resolution. The durable magnesium chassis of the binoculars provides a comfortable grip and is rugged enough to withstand the toughest conditions. They also feature a right eyepiece diopter adjustment knob for easy adjustments. Their waterproof and fog-proof design further prevents damage from moisture, dust, and other small particles. At just 4.5 inches with the eyecups opened and when folded out, the binoculars are small in size and can comfortably fit into your pocket. The USCAMEL Folding Pocket Binoculars come with several accessories including a lens cloth, a carrying bag, and a lanyard. These are among the best pocket binoculars under $100 that you can find on the market. An excellent choice for extreme weather is the Vortex Optics Diamondback. First, these strong and durable binoculars can take a beating. Second, with a fully rubberized shock-proof body, these compact marvels can keep up with the best of em’. Because of the waterproof and nitrogen gas purging, you’ll get a clear picture even in the worst conditions. Moreover, with a comfort, non-slip grip, the Diamondback is almost impossible to drop. And, if you do, the insulated housing will prevent breakage. What’s more, with a crystal-clear 10x magnification, the 42mm objective lenses can see like a hawk. Above all, this is definitely a great choice to take on longer treks. The Vortex will keep up with you the whole way and survive to tell about it. An all-around solid choice for compact binoculars, the Diamondback is strong and durable. Furthermore, with the anti-fogging nitrogen purging, this is a great candidate for ventures into extreme weather conditions. Why buy compact binoculars? Well, the advantages you get from small compact binoculars are quite obvious. For instance, the small compact binocular can be a permanent companion snug inside your bag to be used when the opportunity arises. These types of binoculars are lightweight, easier to hold, and can even be held with one for extended periods of time. They are also great as spectator binoculars when watching football or other sports. A pair of compact binoculars should be an essential component in your camping gear. Compact binoculars come in elegant designs and simply nice to have around when you want to get a closer clearer view of a distant object. With numerous brands and models of compact binoculars on the market today, getting the perfect one can be a challenge. 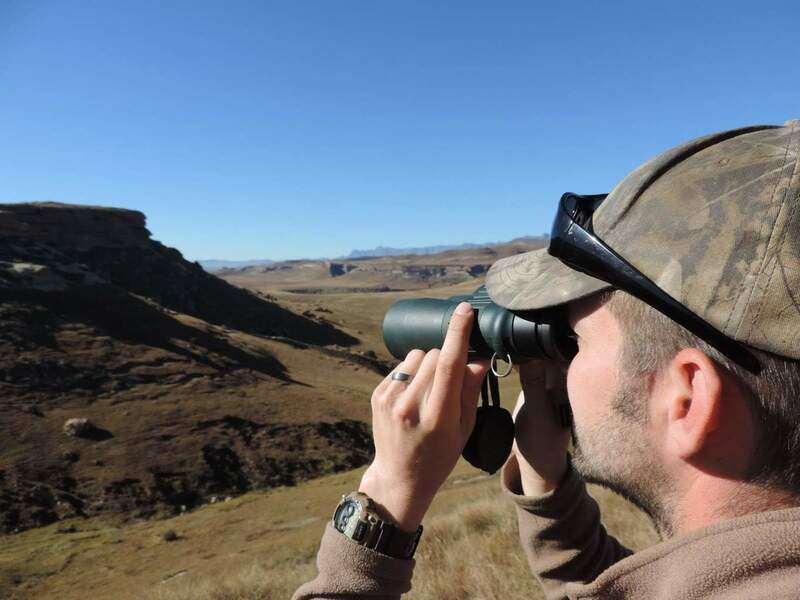 Here are few things you’ll need to consider when searching for the perfect compact binoculars. Magnification is one of the most important things you need to consider when comparing different models. Binoculars are obviously tools or equipment used to magnify objects located distances away from where you stand. The binoculars’ magnification ability is, therefore, a crucial aspect to consider. Magnification usually comes in 8X, 10X, or higher. 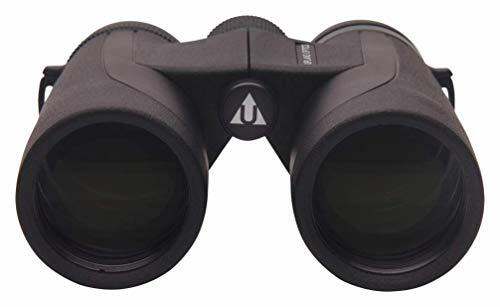 A pair of binoculars with 10X magnification gives you a clear view of a distant object 10 times larger than you would see it with the naked eye. For example, if you are looking at an object 500 yards away through binoculars, the object will appear as if it were just 50 yards away. Besides magnification, the other important number to consider in a pair of binoculars is the objective lens diameter. The numbers you see on most binoculars appear like 10×42 or 8×42. The 10 or 8 refers to magnification while the second number, in this case 42, refers to the diameter of the lens in millimeters. Lens with larger diameters collect more light than those with smaller lenses. This basically means binoculars with larger lenses show brighter images than the ones with smaller lenses. The size of lens also affects the binoculars’ field of view. Field of view simply refers to the size of the area visible via the binoculars lens. This area is determined by the magnification and lens diameter of your binoculars. For instance, an 8×42 pair of binoculars provides a larger Field of View than 10×42 binoculars as higher magnification reduces the area visible through the binoculars. If you are comparing binoculars with the same magnification then the field of view will be determined by the lens diameter size. A large field of view gives you a stable viewing experience. You’ll not need to move the binoculars around to view a wide area. This is especially important when you are bird watching or trying to spot specific wildlife without having to move the binoculars around a lot. A large field of view at higher magnifications provides a clear image even with slight movements. Binoculars with high magnification give you the ability to see distant objects in great detail. However, high magnification makes it difficult to stabilize the image, especially when you are holding a small pair of binoculars. Every little shake of your hands will be magnified giving you a shaky image. Binoculars with magnification that is higher than 10X will require being mounted on a tripod. Lower magnification binoculars have the advantage of giving you a larger field of view and stable images. So when searching for the best compact binoculars, get one with a wide field of view. The best model will have a magnification of between 6X and 10X while medium sized lens diameters from 20mm to 36mm will provide a wide enough field of view. 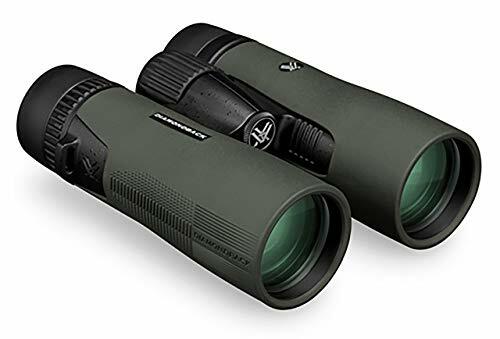 You are definitely looking for a small compact pair of binoculars that you can carry around easily when traveling through tough and often woody terrains if not into a packed stadium or concert. Find one with can comfortably fit into your bag or pocket and is easy to retrieve when you want to use it at short notice. What about weight? Anything between 8oz and slightly above 10oz is perfectly fine. A compact pair of binoculars should be as lightweight as possible. Binoculars are in most cases used in environments that are treacherous and often exposed to elements. Water or moisture is the number one cause for binocular damage. Most of the leading models today are designed to withstand exposure to moisture without suffering any internal damage. They are designed to be waterproof. This is one of the key features to look for in compact binoculars. The best waterproof binoculars come with an O-ring seal and are often nitrogen purged. This means that the body of the binoculars is charged with dry nitrogen which prevents fogging and all types of water or moisture damage. The inside of the binoculars will also be safe from corrosion and last longer. High-quality binoculars are always differentiated from cheap ones by lens coating. The best binoculars have multiple coats over the lenses to prevent scratches and improve image clarity and quality. A pair of binoculars with at least one lens coating is also more durable than one without lens coating besides giving you high-quality images. It is also important to check what kind of accessories you get when you purchase a particular model of binoculars. It does not make sense to buy an expensive pair of binoculars only to find that it didn’t come with a neck strap or even a carrying case. Most compact binoculars are usually accompanied by several accessories including a lens cloth, a carrying bag, a neck strap or lanyard just to mention a few. Still, on extras, it is worth checking if the binoculars come with range finders. The range finder is one of the most advanced features in binocular technology. Range finders tell you exactly how far an object is from your position. They use infrared lasers similar to the ones used by surveyors to accurately measure the distance between you and the object. It is always good to have an accurate idea of how far the object you are looking at is. For instance, if you are a golfer, you can easily use this feature to know how far you are from the hole. You can even buy a standalone laser range finder to use with your compact binoculars. When it comes to brands, there is a lot to choose from! However, truth be told, European brands are usually the best. They also happen to be the most expensive. For example, Zeiss and Swarovski binoculars are among the top models worldwide if you can afford one. However, keep in mind they come with price tags ranging from $600 to over $1000. There are other affordable brands with high-quality binoculars such as Bushnell, Nikon, Vortex, and Avalon among others. These are excellent brands with high-quality compact binoculars that are quite affordable. Getting the best compact binoculars goes beyond just the looks and price tag of the binoculars. You also need to pay good attention to the features. Your choice will naturally depend on your budget but you shouldn’t compromise quality just to save a few bucks. The best compact binoculars should fit your budget, give you crystal clear images, and match your personal needs and preferences. Go through our list and let us know which compact binoculars you liked most from our top picks. Very thorough buying guide. Thank you for putting time into writing it. I ended up going with USCamel.